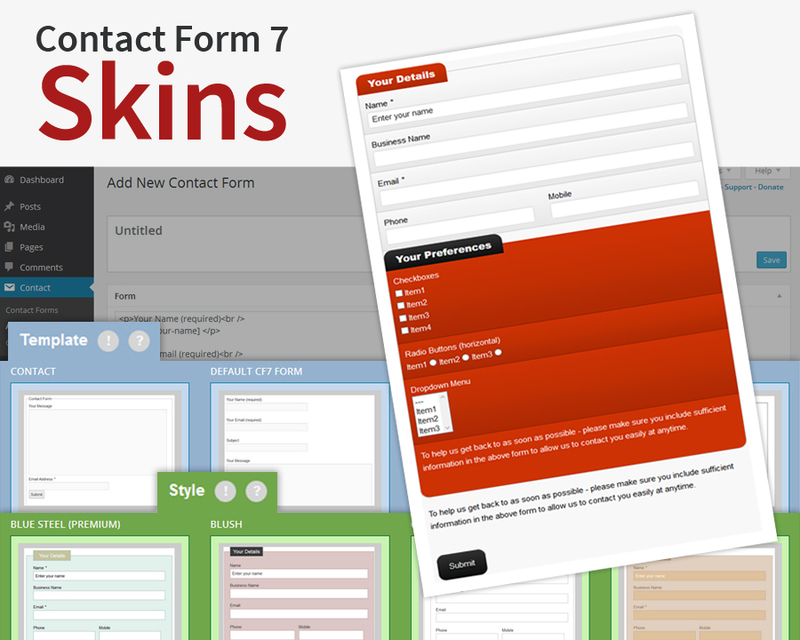 We are pleased to announce that Contact Form 7 Skins is now available for download from the WordPress Plugin Directory. 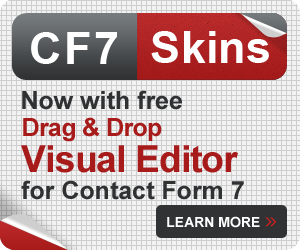 Contact Form 7 Skins is an extension for the Contact Form 7 plugin. As one of the most popular WordPress plugins, Contact Form 7 has helped millions of users all over the world to add forms on their WordPress site. While simple Contact forms are easy to create – building complex forms, and getting them to look how you want, does take some effort. Experienced WordPress users, skilled at using HTML and CSS, are able to style their Contact Form 7 forms to their particular requirements … but this requires a level of skill beyond many people. I decided to help solve this problem with Contact Form 7 Skins. 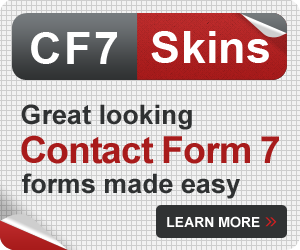 Contact Form 7 Skins works right within the normal Contact Form 7 interface, making it easier for regular WordPress users to create professional looking Contact Form 7 forms, using a range of compatible Templates and Styles. Simply select from a list of compatible Templates that cover many common forms and then choose a Style for your form from a range of professional and beautiful Styles. Each Template acts as an easy to follow guide, which can be adapted to your particular requirements. 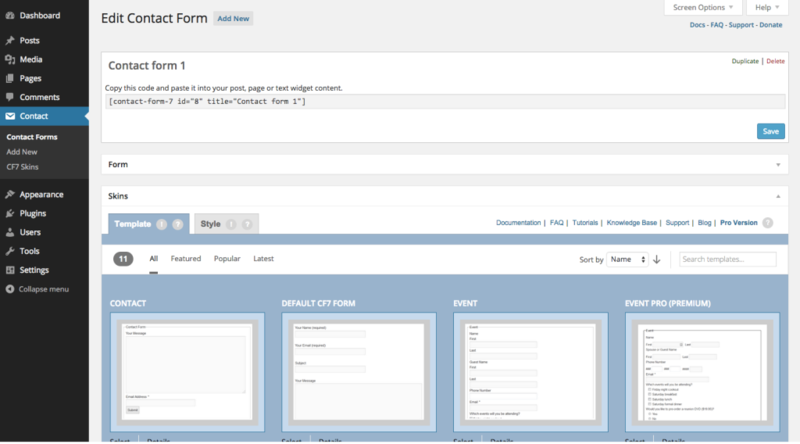 Every Style covers the full range of Contact Form 7 form elements. 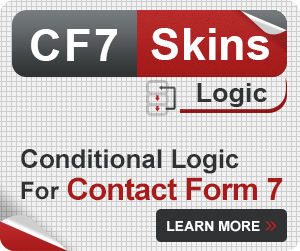 Contact Form 7 Skins is highly customizable and easy to learn, even for beginners. 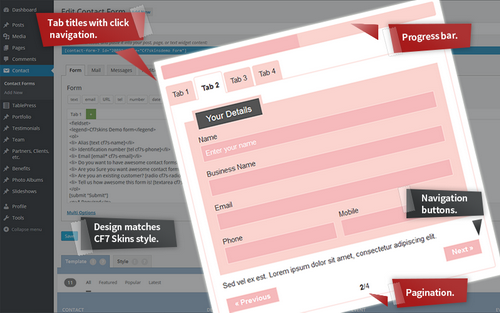 CF7 Skins Pro provides a wider range of Templates & Styles for commonly used forms plus Premium Email Support. If you are building complex Contact Form 7 forms and use your WordPress website to help make money in your business, then purchasing our Pro version can make good sense. Our range of Add-ons aims to bring the functionality available in other premium WordPress Form plugins directly within Contact Form 7. 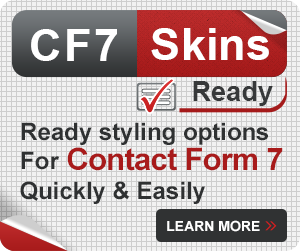 Using a CF7 Skins Add-on can offer a number of advantages including your existing familiarity with using Contact Form 7 – you don’t need to learn another WordPress Form plugin. 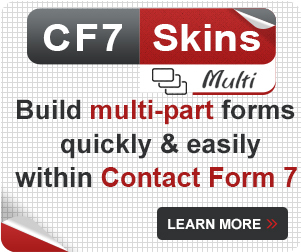 CF7 Skins Multi – our premium Add-on for multi-part Contact Form 7 forms – is now available for purchase. I’m Neil Murray aka buzztone in the WordPress Forums. 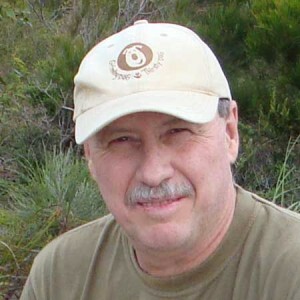 I’m a WordPress Developer based on the Sunshine Coast in Australia.